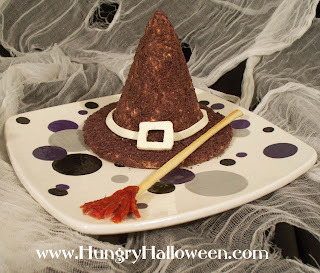 Click here to get the recipe and directions for making this Witch Hat Cheese Ball. I LOVE this! Delicious recipes with a Halloween twist. I really hope to try this out at my witch party this year! Oh, my you are so creative! I am seeing all kinds of fun Halloween things. This looks so fantastic. I doubt mine would look this good. Love your bloody handburger too! I am off to see more. Come visit my blog! Thanks Noelle and Jacqueline. The flavor of this cheese ball is worth trying. I love it. I made this cheese ball and it turned out great. 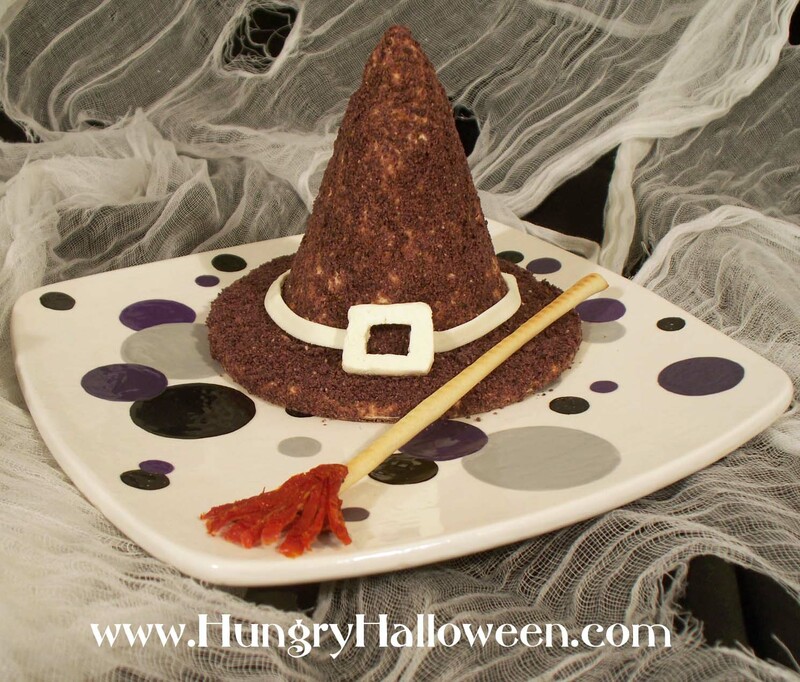 Everyone not only loved the look of the witch hat, but they also loved the taste. YUM!